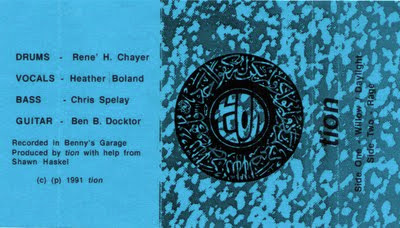 Along with the Gravity Thugs tape we featured yesterday, Ben Docktor gave us this three-song tape when we visited him. 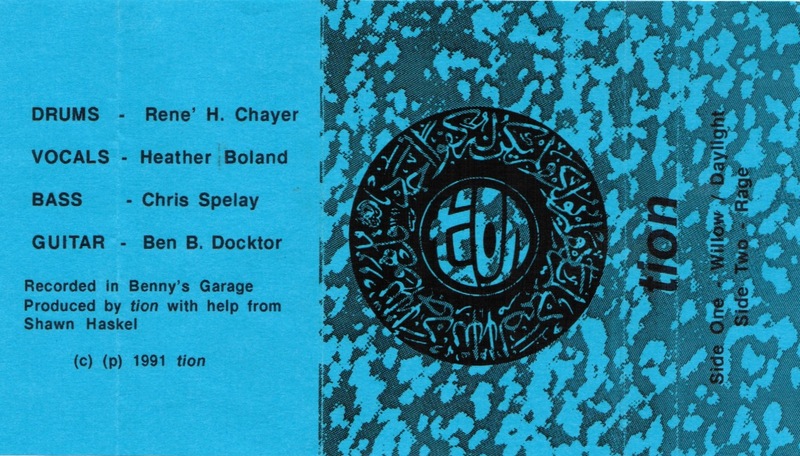 This pre-dates Ben's more well-known work with Drench, and also features future Glider drummer Rene Chayer. We note two things about this tape: first, the j-card is backwards, perhaps tying into the Arabic-themed artwork. Second, Ben's a pretty fine guitarist.